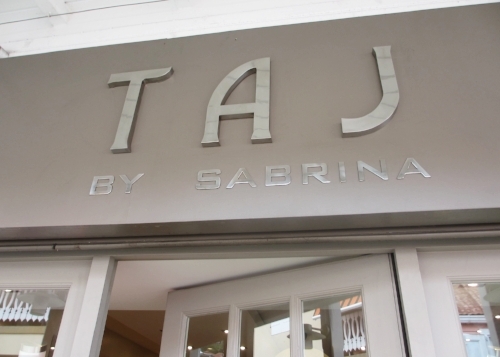 When I was on ST. Barth, one of my Favorite stores, TAJ by Sabrina, invited me in. 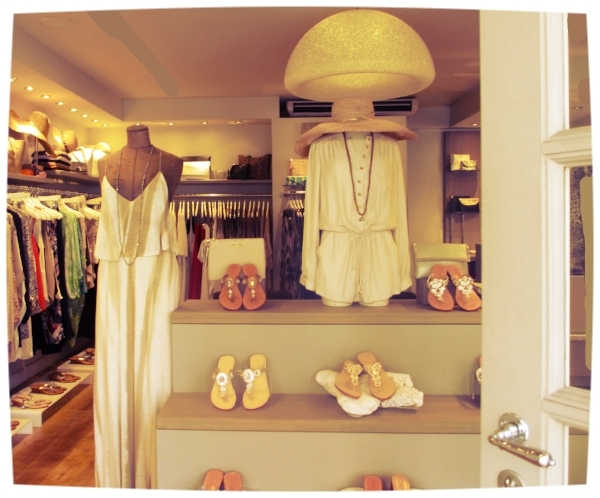 The Kaftans, Tunics, Tops and Sandals are the Best. The patterns, beads, colors, I like one more than the next. It is difficult to make a choice. Taj by Sabrina is one of my FAVS for Summer tops, in the desert I can wear them all year round. Here are 3 for me. As a longer cover-up it's the CRIPPA kaftan in the light Aqua. Looks beautiful with the FRANCA Italian sandals, as a blue Sapphire bracelet sparkling on my foot. Next, the aqua blue tunic with all those beads, the CRIPPA Santorini tunic, I like the dreamy blue colors, for a lunch at here at The Gardens at El Paseo, or I just to take a stroll along the harbour on STB. Take a Look at the Gemma sandals. The sandals are just so beautiful it is difficult to choose. Beaded, bejeweled, in silver or gold. Finally, I chose one with 3 very large blue stones and turquoise. 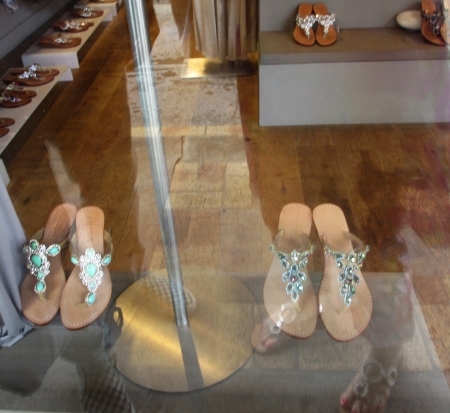 Another one is the Italia Coco sandal with opaque blue stones. Too many to choose from. Some of the sandals reminded me of the style that Amedeo Canfora designed and shows now on Capri. At the moment I like green patterns for my tunics. May be it is because it is hot at the moment. The thought of green palm trees and shade seems appealing. My EDIT with blue, pink and green, all sandals are by TRESCA Italia, find them on shoptiques.com, gets you beach ready in no time.